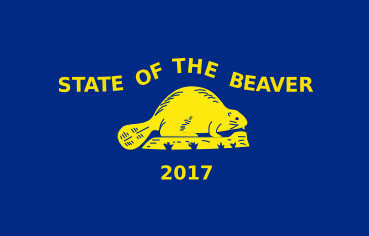 The State of the Beaver 2017 web site is operational if you want register early to get the early bird special rates. This year’s conference has an exciting array of scholarly and passionate presenters that will make this conference as successful as the previous events have been. We will be posting updates, agenda changes and other important information here as time goes on. If you find a link or page not functioning it may be related to further work that needs to be done. The agenda and registration pages are ready to be used. We continue to solicit for sponsors. Please feel free to forward the site’s URL to potential conference sponsors.